Mackins the luggage experts. Selling wallets, purses, belts, bags, suitcases etc. 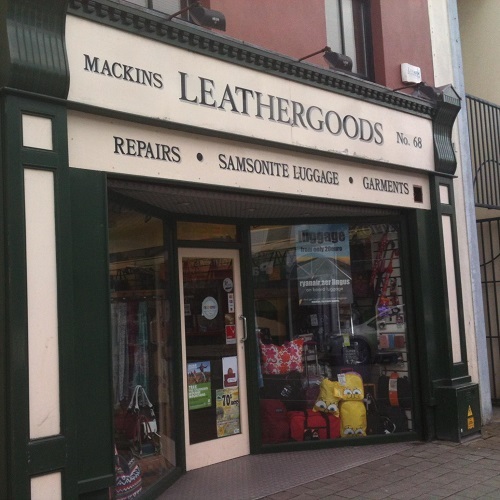 We also repairs – shoe/boots uppers, Irish dancing shoes, riding boots etc. We do zip replacement Velco, Buckles & straps.